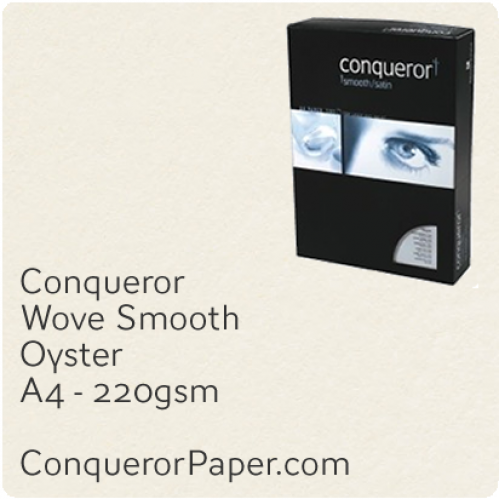 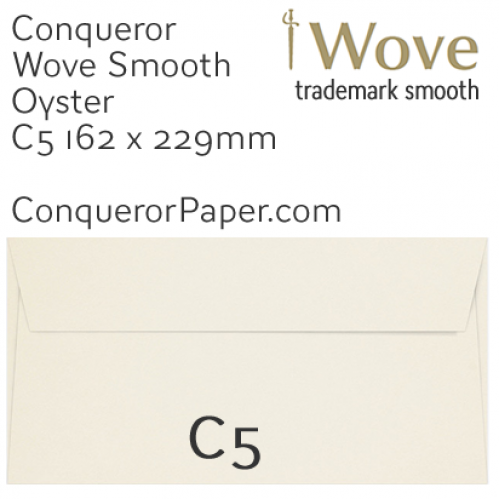 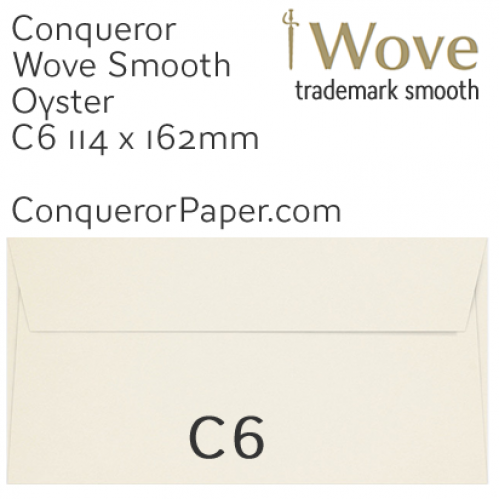 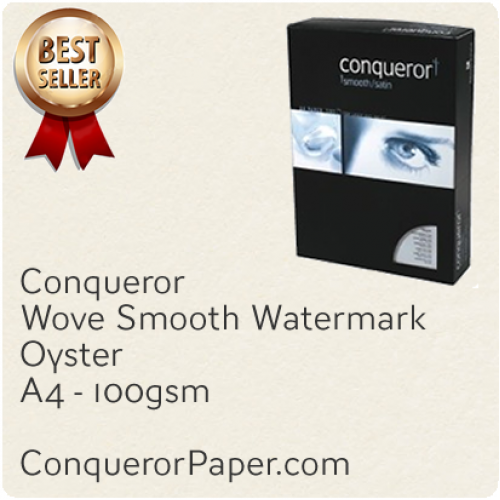 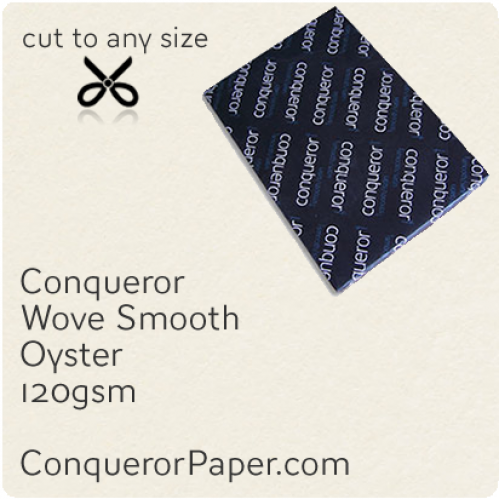 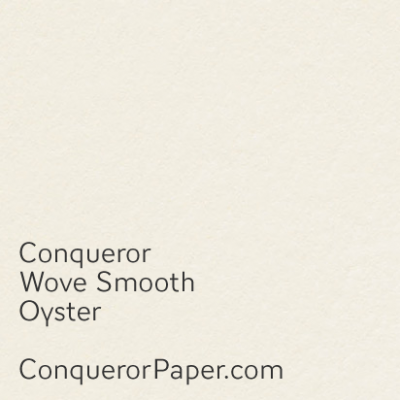 Conqueror Wove watermarked and non watermarked premium paper for prestige & quality results every time. This traditionally smooth paper, offers superb performance and ensuring infinite usability. This is the go to of any large paper and envelopes consumer looking for something extra yet affordable. 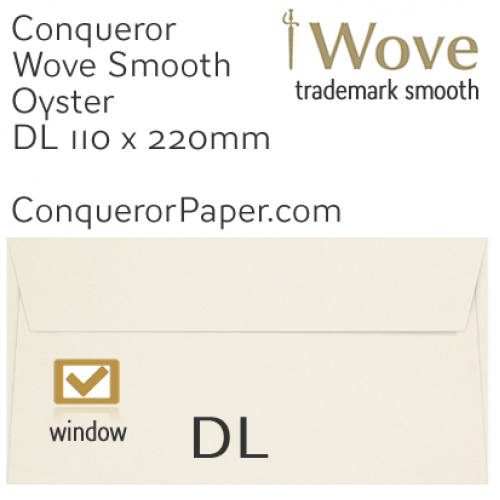 Prestige Envelope* Brand ConquerorWINDOW = NoSIZE = C4 229 x 324mmTYPE = Pocket (flap on short edge)FLAP = Super Seal (Peel and Seal)COLOUR = OysterTE..
Prestige Paper Brand CONQUEROR TINT: Oyster FINISH: Wove (smooth) PAPER: 100 gsm SIZE: A4 - 210x297mm Q..
Prestige Brand CONQUEROR Paper Premium Quality Product TINT: Oyster FINISH: Wove (smooth) PAPER: 120 gsm SIZE: A4..
Prestige Brand CONQUEROR Paper Premium Quality Product TINT: Oyster FINISH: Wove (smooth) PAPER: 220 gsm SIZE: A4 - 2..
Prestige Brand CONQUEROR Paper Premium Quality Product TINT: Oyster FINISH: Wove (smooth) PAPER: 300 gsm SIZE: A4 - 2..
Prestige Brand CONQUEROR Paper Premium Quality Product TINT: Oyster FINISH: Wove (smooth) PAPER: 120 gsm SIZE: ..
Prestige Brand CONQUEROR Paper Premium Quality Product TINT: Oyster FINISH: Wove (smooth) PAPER: 220 gsm S..
Prestige Brand CONQUEROR Paper Premium Quality Product TINT: Oyster FINISH: Wove (smooth) PAPER: 300 gsm SIZE: SRA2 -..